Giving us the insights into his relationship with Priyanka Chopra, Nick Jonas said that a friend had introduced him and Priyanka. Nick added that he talked to Priyanka for about six months before meeting her in person. After making headlines over his relationship with Bollywood heartthrob Priyanka Chopra American singer and actor Nick Jonas recently bared it all at The Tonight Show with Jimmy Fallon where he was invited as a guest. Kicking off the show, Fallon congratulated Nick Jonas and further asked him that how Priyanka Chopra and Nick Jonas met in the first place. Talking to Jimmy Fallon, Nick spilt all the beans that how he met Priyanka Chopra and how they both ended up falling in love with each other. Nick said that they also attended the MET gala had had a great time together. Later, when the media asked if they were seeing each other, they always replied with a No. 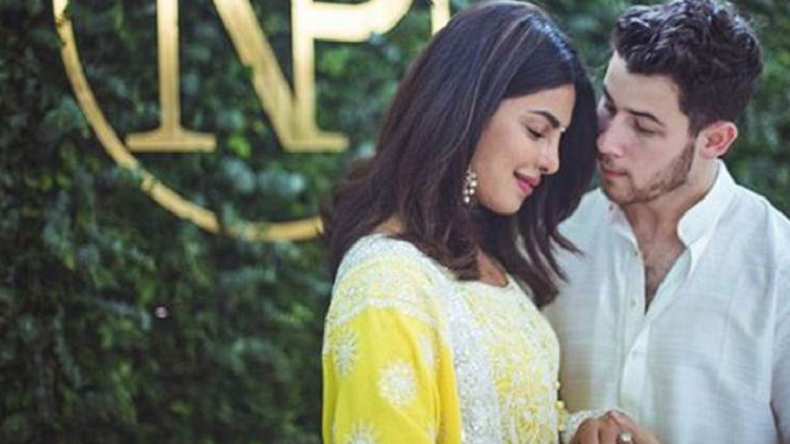 Nick said that he had met Priyanka a few months back and the two felt that the moment was perfect and immediately decided to get engaged. Esha Gupta’s sensuous avatar in her latest photo will leave you starstruck! Apart from telling the world that how they met, Nick Jonas also revealed their cute couple name. Talking to Jimmy Fallon, Nick said that Priyanka likes being called ‘Prick’. Opening up about his Roka ceremony in Mumbai, Nick said that it was a beautiful ceremony and his parents had flown to India just to attend it.